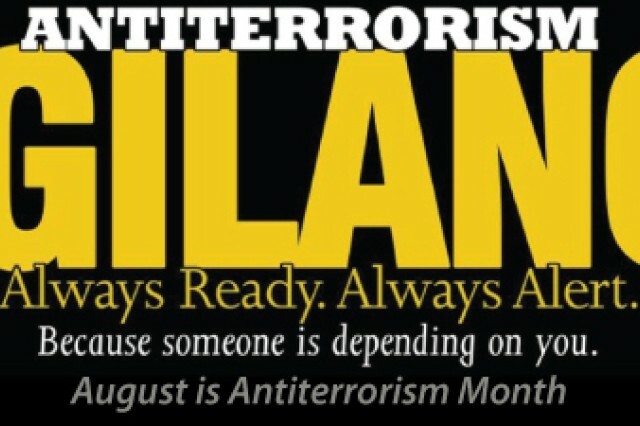 This year marks the Army's eighth annual observance of Antiterrorism Awareness Month as a call to action for Soldiers, Department of the Army civilians, retirees, and Family members to be aware of the dangers posed by terrorism and to be prepared to help combat terrorism. Terrorist organizations are now using the internet to groom people throughout the world, and especially within the United States. Terrorists and homegrown violent extremists are using unconventional means to attack throughout the world, as we have seen in Boston, Orlando, Paris, Germany and many other cities and countries around the world. As the online radicalization and mobilization to violence continues to be on the rise, vigilance and awareness remain critical to countering threats. Army communities must be ready to defend against the full range of terrorist tactics daily not only during this month because terrorism is a persistent threat to the Army. The safety of Army personnel, DA civilians, and Families is of the highest concern both in the field and at home. Everyone must be aware that reporting any suspicious activity, no matter how small, could thwart a possible terrorist attack. As the TRADOC Antiterrorism officer and a member of the Fort Leonard Wood Protection Working Group, I believe all personnel and Family members on post should take time this month to familiarize themselves with the following four things; the seven signs of terrorism, the 10 key indicators of terrorism, personal protective measures and active shooter plans for their section, unit, division, and/or directorate. To report anything of a suspicious nature, call the Fort Leonard Wood Directorate of Emergency Services at 573.596.6141 or report it online at www.wood.army.mil/LEC/iWatch/iWatch.htm.